Learn about significant changes and strategize how you can leverage the new editions of ConsensusDocs standard documents. Standard design and construction contracts set the playbook for project success or failure. Case law, technology, and insurance have changed dramatically over the past 10 years. 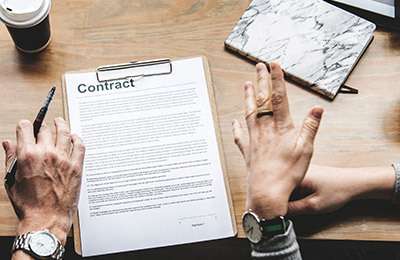 ConsensusDocs, a coalition of 40 leading construction organizations that include leading organizations like AGC, ABC, and COAA, published comprehensive updates to its most used prime and subcontract agreement. Changes to ConsensusDocs address payment, insurance (builders risk policy), terminations, indemnification, mediation, and arbitration, attorneys fees, and much more. You will learn from the lead staff person, the highlights of the most significant changes and strategize how you can leverage in contract negotiations in using the new editions of ConsensusDocs standard documents for designbidbuild, designbuild and CM AtRisk. You will also learn how to incorporate certain provisions in modifying American Institute of Architects (AIA) A201 or manuscripted original contracts. This information will cover the ConsensusDocs general terms and conditions used in the ConsensusDocs 200, 205, 410, 415, 500 as well as properly subcontract flow down provisions in the 750 and 751 subcontracts. This live webinar is designed for engineers, architects, developers, contractors, subcontractors, project managers, contract managers, principals, presidents, vice presidents, owners and managers, controllers, accountants and attorneys.